Recently furnished with modern design the room convey a feeling of elegance and comfort. Located in ground floor without stairs except for those of entry. Can accomodate maximum three people with: 3 separate beds or 1 single and one double bed. Spacious, brightly, overlooking the main street San Francis, with the magnificent San Francis Superior Church. 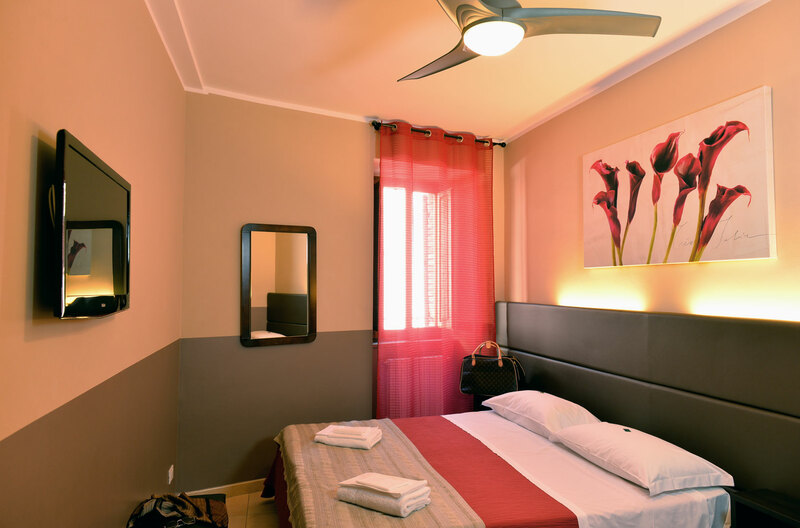 Equipped with: LCD satellite television, private bathroom with shower, hairdryer, complimentary toiletries, heating (central and private), there is no air conditioning but elegant ceiling fans with remote control.